This is a Marvel Legends Namor, Sub-Mariner 6" inch toy action figure review. (Part of the Black Panther Okoye build a figure BAF series) This is the comic book version of Namor in his classic look. Well sculpted, articulated and detailed. 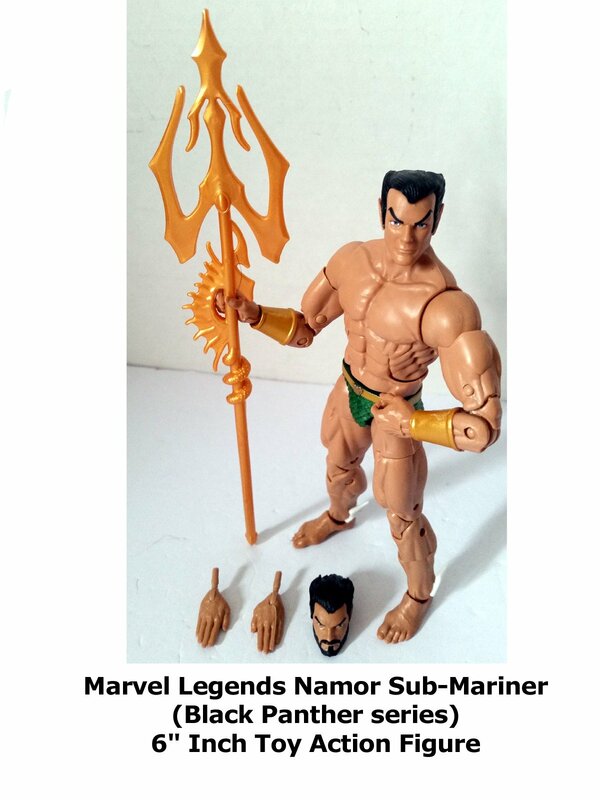 This is the best Namor action figure in Marvel Legends scale. A fine addition to any toy collection.